As a new governor I am still learning and getting to understand how Granard operates and so far have only attended a handful of Governor meetings. I am on the Resources sub-committee which covers the Premises, Personnel and Finance. At a recent meeting we had a presentation from Mr Ardrey who had researched equipment and obtained competitive quotes for a new Trim Trail. I was very impressed with the consideration for the needs of the children that Mr Ardrey had taken in making his recommendation – the results of which you will see after the Easter holidays! I also come in weekly as a volunteer reader with the two Reception classes, which has been really interesting, and have watched the children progress very quickly from learning the alphabet and having initially wordless books, to sounding out letters and words in books with words. The teachers seem very aware of the children’s abilities and, in my layperson’s opinion, do a great job of tailoring the reading to each child’s needs. It is heartening to see the enthusiasm that the children have for reading, long may it last! I recently attended the Wizard of Oz production which was outstanding in every way, from the stage sets/costumes and music to the acting/dancing and singing, it was obvious that a lot of adults and children had put a huge effort in to the production. Importantly, the children also seemed to thoroughly enjoy themselves and hopefully saw and heard the appreciation of their hard work. I’m looking forward to the next production already! Half the fun of being a Governor is that you never know who you will meet out and about in Putney. Granard students get out and about – they are so lucky – and I met a group of (I think) Year 1s coming out of Waterstones this week. They were great ambassadors for our school. And then I was lucky enough to be in the front row for The Wizard of Oz: what an amazing production! Huge thanks to Mr Shields, Miss Marsh, Mrs Chapman, Miss Evans, Mr Andrews, my fellow Governor, Hannah Gomersall who played the violin in the orchestra, and all the other school staff who helped create the show. BUT of course, it would never have happened if the student performers had not worked so hard and had such fun: you were all wonderful and you looked as if you were thoroughly enjoying yourselves. The following Sunday, one Munchkin questioned me closely about my favourite characters. I told her I thought Ashleigh as Dorothy was outstanding – but, she said, ‘who was your favourite out of the Tin Man, the Lion and the Scarecrow ?’ I said I loved them all but particularly liked the Lion’s – Shazaine’s – gentle and sometimes scared expression. Congratulations to all the characters, and to all the Munchkins and Ozians: you were all performing the whole time and you gave us a fabulous time! And now there’s the Art Show at Putney Library and World Book Day this week! One of the roles that Governors have is to determine whether subscriptions that the school buys are beneficial to our children’s learning. My colleague, Malcolm Turner, and I visited the school to spend a morning observing a staff training session by Dan Sullivan, the founder of Empiribox. Empiribox is a company which provides the school with Practical Science experiment boxes in which everything that teachers need to lead an experiment is supplied. Granard is an Empiribox Beacon School which has allowed staff to establish a good partnership with the company. Teachers from other schools have come to Granard to learn more about Empirbox. Dan went through the experiments that will be used by teachers during this terms Science lessons. In Geology we talked about the kind of data that children would learn to collect, how to present the data and do analysis. The termly focus would be on recording and analysing data. In Chemistry, we looked at different solvents and their effectiveness on nail varnish. We also discussed the constituents of solutions and the properties of water. We did an experiment in Chromatography using paper strips which had different pen markings and were immersed in water. We also did an experiment where we froze water to -24C in a few seconds. We made ice cream by crushing ice cubes and salt in a bag and then immersing another bag with full fat milk, sugar and vanilla essence. We stirred the bag and after 5 minutes we had ice cream. We produced a mini-volcano inside a glass vessel. Outside we produced a “fountain” by popping Mentos sweets into fizzy drink bottles. After the session Malcolm and I talked to Miss Breeze about her views on Empiribox. Miss Breeze believes it is an excellent package and the company is constantly willing to upgrade/modify anything that the school requires. We also reviewed children’s science books and we could see how they absorbed and interpreted the Empiribox lessons. There were a range of abilities in the books we observed. From our experience, we believe the school offers a fantastic delivery of Practical Science to all the pupils. One of the pleasures of being a Granard Governor is being invited to the various school activities held during the year. In the run up to Christmas this means I have been to see 2 plays: Year 2 “Follow the Star” and the Reception “Whoops-a-Daisy-Angel”, both of which were very impressive and enthusiastic displays! The teachers in Year 2, Miss Watt, Miss Fenton and Mr Titterton, and Ms Troup and Miss Pinkess in Reception and the teachings assistants are careful to ensure everyone takes part and that their role is valued. Good drama necessitates good listening and behaviour as well as good speaking. We also know that these skills also help with written expression. It has been a long term for the staff and the pupils and the Governors are very grateful for all the hard work that is put in to make the education experience at Granard an excellent and an enjoyable one. In particular, I work with the School Business Manager to ensure that the school is achieving the targets agreed with Wandsworth Council at the start of the year. The school’s largest cost is staff salaries which account for nearly 80% of expenses. The school’s Senior Leadership Team is very mindful of its responsibility to provide the best possible teaching and learning resources for the children but within the budgetary constraints imposed by Wandsworth Council. I am also well aware of the role played by all staff in avoiding waste and seeking value for money. I would commend in this respect not only the teaching staff but also our support staff in the Reception Office, Administration, Catering, Cleaning and Maintenance who contribute, often behind the scenes, so much to the success of the school. As your children may have told you, on Wednesday this week Granard was a Pen Free zone. Pen Free Wednesday encourages teachers and pupils to focus on verbal communication; talking and listening, rather than quiet written work. This Wednesday the children at Granard were talking, discussing, describing, debating, listening, interpreting and understanding. In order to develop their language and their ability to understand others, children need to hear adults speaking and engage in conversation themselves. They need to be allowed and encouraged to try out new words, phrases and ideas. Keep your mobile phone in your bag or pocket when taking your children to and from school and use the journey as an opportunity for a conversation. Eat together or sit with your child at mealtimes and make it a sociable event. Make sure your baby is facing you in the buggy to allow communication and nonverbal interaction. Read with your child as much as possible. If we learn to communicate and understand one another, it will have benefits beyond school. Misunderstanding and frustration at not being understood can lead to division, anger and even violence. To build a better society we need to ensure our children learn to express themselves clearly and respectfully, and develop the skills of listening and understanding others. At the beginning of each school year Granard pupils elect their new School Council. As a Granard Governor I attend many of their meetings. It is always a privilege to meet the newly elected pupils. Everyone has a chance to be a School Councillor, pupils are either proposed by others or they can volunteer. This is followed by a ballot where a boy and a girl from every class between Years 2 and 6 are elected to serve for a year. No one can be chosen for more than one year so that more pupils get a reasonable chance to participate in this invaluable activity. Those serving on this forum always take their responsibilities very seriously and are a pleasure to work with. This year the meetings will be convened by Miss Pinkess, she’ll prepare an Agenda and the minutes will be recorded for the students so they can stick both in their special books in order to consult with their classmates. They’ll then bring all the comments made by their classmates to the next meeting for consideration by the Council. It’s all very democratic! Already they are off to a flying start with the 2 sessions that have been held so far this term. Discussions have ranged from: recycling and reducing the plastic used in Granard; ideas for fundraising to improve playground facilities and coming up with plans to enhance The Pleasance, an open-air play space in Putney Park Lane. They have already thought of some amazing ideas for The Pleasance, such as a Bird Hide, a Zip Wire and a Ribbon Tree for memories. Someone even drew a brilliant design for a climbing frame based on a spider’s web! The next meeting, on Tuesday, 16th October, will be held on site at The Pleasance where the pupils will put forward their inventive ideas to a member of Wandsworth Council Parks Department, who will also be present. The Councillors are looking forward to an exciting trip after half term. This is when they will visit the ‘dump’ in Wandsworth to look at how Recycling works, essential research to help with the project to reduce Granard’s carbon footprint. Please help your children with this by recycling as much as you can at home, it really is important to do our best to protect our planet. Just a footnote on the wonderful work last Year’s School Council initiated to refurbish the pond and wildlife area. If anyone has any suitable plants they would be able to donate to this ongoing project please get in touch with Mr Andrews, our Premises Manger. Try to take a look at the happy faces of the new School Council in the corridor by the Dining Hall! Autumn is truly arriving. We have had the first of the chilly mornings, the light is getting lower and Granard has been back in action for a full 4 weeks already. After such a warm dry summer the temptation is to disappear onto the sofa to stay warm as the days become chilly. Don’t! Take advantage of the sunshine left still and go explore the outdoors around us. Putney Heath is a 5 minute walk from Granard and is full to the brim with wildlife preparing for the winter. The squirrels are foraging for acorns and conkers, and the spiders are working overtime producing webs. If you are out for a walk and are really quiet you might even see a fox or the heron on the pond! A great way to enjoy the changing season is to take a walk and collect leaves that have fallen. With a selection of your favourite coloured leaves you can have hours of fun. With just a bit of paper and glue one can make a collage picture. If you have a glass jar you can glue the leaves round the outside, and with an adults help - light a tea light inside the jar and turn it into a seasonal lantern! Enjoy. Granard is so well situated to get out into the fresh outdoors. Take some time this weekend and have a walk observing the seasons changing - you might be surprised at what you find! But the wildlife isn’t just out on the Heath! If you haven’t had an opportunity yet, head down to the bottom of the KS2 playground. The pond that sits in the nature area is now home to 5 goldfish named Bell, Edison, Tesla, Einstein and Newton. There is even our own plastic heron to protect the fish from other hungry birds. Head down and have a look - see if you can spot all five of them. KS2 Sports Day started surprisingly cool on the parched Roehampton Playing Fields, so much so that cardigans and jumpers were the order of the morning for the athletes, staff and spectators. Expecting a bit of a sporting hangover from both Roger Federer’s and the England football team’s unexpected eliminations from their respective tournaments, I was very pleasantly surprised by the athletic enthusiasm of the KS2 children who seemed determined to enjoy their day out of the office. After a little bit of aimless wandering I was directed by a kind parent to the organiser’s tent where I was given a programme, which was of tremendous help in identifying the various events on offer, but of less help working out who was competing since, unlike any other school sports day I have ever been to, this one appeared to be running ahead of schedule – a testament to the organisational skill of the sports staff. Come 11 a.m. the sun was out – warming up the children, who were well sunscreened; and burning the staff, who, it turned out, were not! Most, but not all, jumpers and cardigans were taken off and water bottles were refilled. Spectators were luckier, being able to move to the shade of the trees when it all got a bit too much. diving, into the under obstacle of the Under and Over obstacle race, was a mistake – the getting up from the dive more than outweighing any advantage obtained from the speed of the dive. The final events of the day were the relays, always exciting, with fluctuating fortunes and handover mishaps, and the sprint finals where incredible turns of speed were shown by not just the winners, but all the racers. The day was a great success, excellent competition by the athletes, great attendance by parents and guardians and superb arrangement by Jonathan Ardrey and his staff. I am looking forward to the next one already, let’s hope the weather holds. 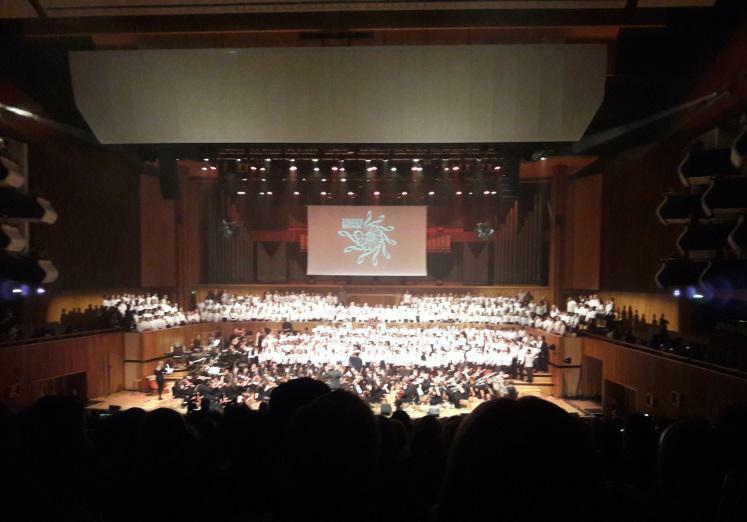 I had the pleasure of watching Granard’s Year 4 children showing off their musical accomplishments at the Royal Festival Hall on Thursday, 28th June. It was great to see so many parents of Granard children present to watch the action. Over the last year, all the Year 4 children have been studying either trumpet or trombone. Ruth Chapman, Granard’s wonderful music teacher, and additional specialist teachers provided by Wandsworth have been working hard rehearsing with the children for the fantastic performance I witnessed. This performance was part of Wandsworth Borough’s wide music provision. Over 1,000 children from various Wandsworth schools were involved in one of three performances at the Festival Hall. It was quite a sight and sound! The Granard children performed fabulously. It was a pleasure to witness the focus and enjoyment on all their faces as they sang and played eight different songs. Class 4B Walliams played the trumpet, and Class 4S Lewis played the trombone. This included the class teachers Miss Breeze and Mr Shields also playing instruments. Music is such a valuable and important part of the school curriculum. It gives children a way to access both language and maths skills in a fun enjoyable way, and opens their eyes and ears to the wide variety of music which surrounds us every day. While this particular trumpet and trombone project takes place in Year 4, all year groups engage in music projects throughout the year. There is also specialist piano tuition available from Year 1. The school should feel proud of the fantastic access all children in the school have to quality music provision. Well done to all who participated!! At the end of April, some courageous members of staff took a group of 34 Year 4 and 5 pupils to Wick Court Farm for a week. I am not going to list the wide-ranging and exciting activities undertaken by the children who attended, as these are much better documented by the photos on the school website and fabulous tweets from the week, which you can find here: http://www.granardprimary.co.uk/wick-court-2018/ and https://twitter.com/granardsch?lang=en. I do, however, wish to share some insights and first and foremost thank all the staff involved in organising and accompanying the trip. Without that extraordinary commitment, Granard could not offer these sorts of opportunities. Wick Court is one of three farms that make up the Farms for City Children scheme set up by author (and ex-teacher), Michael Morpurgo, and his wife Clare. The farms offer children from cities across the UK the opportunity to experience life and work on a farm and to benefit from a healthy week in the countryside. However, as I became aware when talking to Wick Court returners and their parents, an understanding of where their food comes from, clean air and outdoor living were by no means the only benefits of the experience. The children stayed seven nights at the farm and for many it was the first time they had been away from home without any family. Some were worried about being homesick, but from reliable reports I hear that any thoughts of home were quickly forgotten when life at the farm got underway. When I asked one Year 4 pupil what was the best thing about the trip, I was expecting to hear something along the lines of "grooming the horses" or "feeding the lambs", but the immediate answer, without hesitation was: "Learning that we don't need to rely on our parents so much. Oh, and the food, the food was the best food I've ever had." That discovery of independence and the enjoyment experienced through taking responsibility for themselves and having real accountability for the welfare of the animals and smooth running of the farm was clearly a huge boost to self-esteem for many (if not all) of the children. As adults we become so consumed by our responsibilities that, sometimes, we forget what a privilege these responsibilities can be; how much satisfaction we derive from a job well done. Compliments received on our cooking, pride in our children's achievements and behaviour or even the feeling of getting under clean sheets when you have changed the bed linen, these little things contribute to our self-esteem, sense of achievement and general wellbeing. I am certain that every one of the pupils lucky enough to attend this residential trip has returned home with extra confidence and self-belief. At whatever level this was achieved, it is all a valuable lesson and experience: from the girls who learned how to brush and tie their own long hair or the young man who overcame his fear of horses. These lessons are not always the easiest for us parents to teach. We tend to want to help our children and sometimes we are at fault for preferring to get things done quickly and efficiently, rather than allowing them the time to learn to do something new and make mistakes. Wick Court provides this opportunity in a safe and forgiving environment and is a trip that I wholeheartedly support as a parent and a governor. I hope that if your child has the opportunity to take part in the future that you will encourage and support them in going to Wick Court, so that Granard can continue to offer its pupils this important opportunity. P.S. I have also heard that pupils returned home saying "don't expect me to do the dishes tonight" and my daughter informed me that I had another thing coming if I was expecting her to scrub the kitchen table. Clearly there is still work for us parents to continue, but maybe those statements are also an admission that they now know how much needs to be done in family life in order to keep things on track and perhaps we can all appreciate each other a bit more in future. Very few London schools could boast, as we can at Granard, about the green and healthy oasis in and around our school. Not only are we surrounded by mature trees and next to Putney Park Lane, but there are also various projects in the school grounds which aim to improve the environment for our children. For example, there is the thriving hedge, planted by the children last November, along the fence with Westleigh Avenue, and the regenerated Wild Life garden with its lovely pond which has already been populated by frogs. This week there are daffodils and bluebells under the flowering cherry tree. 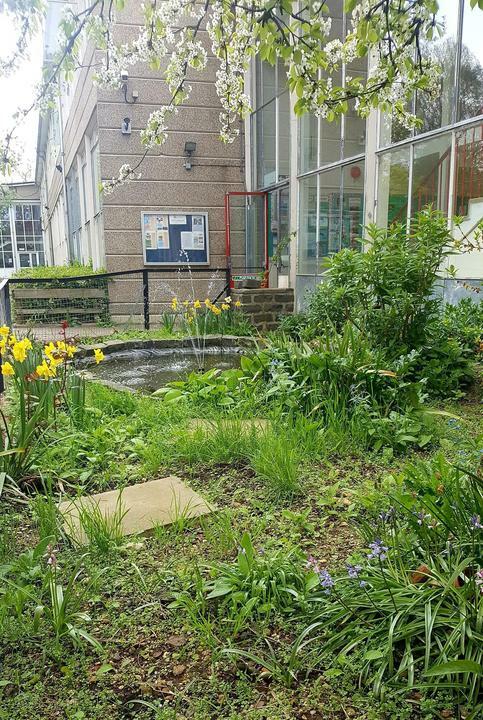 Last year Putney Community Gardens was set up by local volunteers to improve the environment on the Ashburton Estate and I know a few Granard pupils and parents are already involved. They have regular gardening sessions every Sunday from 10 a.m. – 12 p.m. (meet behind the shops on Tildesley Road) and they planted the orchard on the corner of Carslake and Tildesley Roads in February. If you would like to learn how to garden or just look after a window box there is a free gardening course every 3rd Sunday of the month at Boyd’s Court from 10 a.m. – 12 p.m. Everyone, children and adults, are all welcome! A Brighter Sound – what a wonderful evening! Shirley Hobson, fellow governor, and I were among lots of Granard friends and parents who travelled up to the Royal Festival Hall on the 28th March. If you were there, I’m sure you loved every minute. The Festival Hall is a big place. 1000 students of all ages from 22 Wandsworth schools and the Wandsworth Music Academy, the Wandsworth Youth Choir and the Wandsworth Community Choir filled the whole stage and choir area, and the parents and friends of all taking part packed out the auditorium. It was spectacular. Huge thanks to Mrs Chapman, Mrs Walters and Miss Smith who rehearsed, encouraged and accompanied 29 Granard students to join the massive choir. My phone couldn’t possibly capture the wonderful, happy, excited atmosphere and the gorgeous music – everything from ‘Fame’ to Stevie Wonder, ‘Guys and Dolls’ and ‘Scarborough Fair’. A word to parents and families: if you love singing and would like to join a choir, speak to Mrs Chapman: the Wandsworth Community Choir is for people who love singing – no auditions, no reading music – just come along and sing: starting on Wednesday, 2nd May 7.30 p.m. -9.30 p.m. at Hillbrook Primary School, Tooting. After the thrills of ‘Oliver’ and ‘A Brighter Sound’ we all look forward to a summer term full of lots of hard work, exciting learning and important SATs, but also lots of sport, performances and fun. The school’s production of “Oliver!” last week was a wonderful success. After many Saturday and after school rehearsals, the hard work paid off. As well as some exceptional acting and singing from the star characters, every single member of the cast and choir threw themselves into their roles. It is very special that Granard was able to support the show with an orchestra of staff organised by Mrs Chapman - I really enjoyed joining this on the violin. Particular thanks to Mr Shields and all the other staff, children and parents who contributed to the show. The success of Oliver reminds us how valuable the Arts are in primary education. The project provided the opportunity for children to develop their co-ordination, concentration, memory and - most importantly - confidence. We are lucky to have so many opportunities at Granard to take part in music, drama, dance and art and the whole school community will continue to support these. One of the things the Governors would like to do is show the wider Community in Putney what a fantastic, vibrant, inclusive school Granard is now. Because we are tucked away in such an environmentally friendly area alongside Putney Park Lane, residents often don’t know where we are! I had an idea that we could show some of the wealth of artistic talent Granard has by arranging an Exhibition in the display space in Putney Library. As a former art student I am interested in the way visual arts can help pupils to learn in all subjects. It can also lead to many career paths. Miss Pinkess, Art Leader, organised Art Week in January as a project, ‘A Portrait of Putney’ with the idea of the Exhibition in mind. Every pupil produced a piece of artwork from which the final 20 were chosen to represent the school in the Library. The Private View of ‘A Portrait of Putney’ was held on Wednesday, 21st March to much acclaim. It really did look stunning as a collection of interpretations of local views using different media from feathers to charcoal, oil pastels to watercolours. When Mr Wheeler gave a short speech he asked the pupils to stand in front of their pictures. It was a very special moment. The children quite rightly looked proud of their achievement. There are many words of congratulation written in the visitor’s book and someone suggested making it an annual event. The show is still on over this weekend so if you haven’t already seen it, there is still time. Thank you to all the children, their families, staff, governors and other guests for making this excellent exhibition such a memorable occasion. The library staff remarked that it was very well attended and noisy! Hopefully you are all now aware that Granard has added musical theatre as the latest string to its bow. We are very excited to announce that brand new lighting equipment will be fitted during half-term in time for the performance of the Oliver! the musical, which staff and pupils at Granard are working tirelessly to bring to the stage in March. The lighting equipment will be a fabulous long term investment and we're hoping that, for future performances, it will provide those pupils who prefer to remain backstage with the opportunity to learn about the science and craft of stage lighting and special effects. Reflecting on the character of Oliver, I realised that he is, in many ways, a perfect champion for Granard and sets a good example of our school's values and the 6Rs. Oliver is always respectful and never forgets his manners; even when facing up to Mr Bumble in an act of rebellion, he remembers to say please. Oliver is always ready to take action and to work hard. He is ready to speak up for himself and the other children in the workhouse. In every new situation he faces, we see Oliver ready to learn. Oliver is most definitely resilient and resourceful. After all, he survives not only the workhouse and his short stay at the undertakers, but also finally frees himself from the exploitation he suffers under Fagin. He is responsible; he can be trusted with Fagin's secrets and to return Mr Brownlow's books. It isn't Oliver's fault that he is kidnapped on his way to return the borrowed volumes. And finally, Oliver is certainly reflective, contemplating "where is love?" and questioning the co-existence of good and evil as demonstrated by the care and love he finds in Nancy in spite of her wretched circumstances and immoral life. Tickets for Oliver! go on sale in early February and performances will take place on the evenings of the 6th and 7th March. I'm sure you agree that this will be an enjoyable way to raise money for the school and support the children and staff involved. I hope to see lots of you there! On a clear crisp Thursday, the 14th December, one day before the end of term, pupils from Years 2-6 at Granard made their way down the ancient Right of Way which passes by the school, to St Margaret’s Church for their annual Carol service. All the Carols, old and new were enthusiastically and beautifully sung. Year 2 sang ‘Wonderful Star’ and ‘Did you see some shepherds in Bethlehem?’ I think the smallest children had the biggest voices, there were hand signals towards the stars too! Year 3 performed a new song which had been learned at sessions run by the Wandsworth Music Service and Year 4 were accompanied by the Ukulele players in a rendition of ‘Go tell it on the mountain’. Year 6 sang a very tuneful song which was new to me ‘Riding out across the desert’. Both choirs performed magical versions of ‘Do you hear what I say?’ and ‘Emanuel’. There was a little technical blip in the proceedings as the recorded musical accompaniments to some Carols could not be played. Luckily there is a piano at St Margaret’s and Mrs Chapman and Hannah Gomersall, a Governor, came to the rescue at the last minute. Well done to both of them! All the readers spoke very clearly and confidently to take us through the everlasting Christmas story. A huge thank you to: Mona, Anshu, Daniel, Carla, Isaac, Nikola, Callum, and Yi. Hilary Belden, another Governor, led the service and reminded us all of why we were there and talked about the birth of the baby Jesus, the birth of babies in our families and what they truly need. During the service a large screen showed a life sized wooden replica of a Nativity scene from Hereford Cathedral to illustrate the story. After a rousing chorus of ‘The Virgin Mary had a baby boy’, sung by the whole congregation, it was time to walk back up the lane to school with the music still ringing in our ears. Thank you to Mrs Chapman, our wonderful music teacher, for all her hard work and to Mrs Walters who coached the readers. It was good to see so many parents, Governors and other helpers joining the pupils and staff for this lovely event. I think we are all ready for Christmas now! The teachers at Granard have always encouraged love of reading and there are various schemes and programmes in place at school to help them to do this. However, the one I am so interested in is new to us and is called “Accelerated Reader”, which is for Key Stage 2 children. The way it works is that all the books in the library are logged onto the computer and are rated to allow each child to find the right book at every stage of their development. This is done by an analysis of the vocabulary in the book, rather than the content. As one of the children explained, “It’s all to do with the words Miss, not what it’s about”. Once the child has finished their book they take an online quiz on one of the iPads and they get immediate feedback to check if they have understood it. They can then choose another book at the same or higher level (they must pick a book within their two ZPD numbers, which are in the front of their reading record). They also gain points for the number of books they have read. These statistics are fed back to their class teacher. 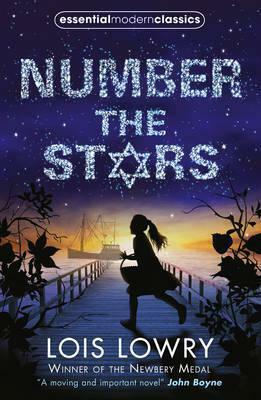 Each term there are 2 assessment tests to monitor progress and hopefully the children’s numbers increase so they are reading more challenging books as the year progresses. The library is open every lunch time and it is very busy with children choosing and sharing books with each other as well as taking the quizzes. I am sure we will see progress in all the children’s reading skills by the end of this year. As a governor, I have a keen interest in learning how Maths and Science are taught at Granard. On the 2nd November I visited 4B Williams to see a Science experiment using the Empiribox package. Empiribox provides the school with sets of experiment materials that aim to expose pupils to interesting scientific concepts. It was a fascinating and well prepared lesson. Miss Breeze had devised the experiment to study spiral convection powered by heat. Four spirals cut out from different materials chosen by the children were tested. For two minutes, three lit candles were put under a spiral which hung from the ceiling with a string. The heat from the candles caused the spirals to move. The material of the spiral had a significant impact on the speed and pattern of movement. Miss Breeze was careful to explain that because the experiment involved fire, she would conduct the experiment herself and that if children wanted to replicate it at home, they would have to do it with an adult. Everyone participated, either explaining to others at their table, or to the class. The lesson was beautifully well presented, the explanations were thorough and the children’s behaviour was impeccable. The children could talk about what constituted a fair test, whether the movement was clockwise or anti-clockwise and made reasoned predictions for the behaviour of the spiral in each case. The children were aware that external factors, such as someone walking by while the experiment was on, could affect the movement, therefore, disqualifying the experiment from being a fair test. Afterwards, the children discussed whether the experiment was consistent with their predictions. It was a thoroughly enjoyable lesson for me. I can see the value of using these kinds of experiments to create future scientists at Granard. Well done everyone. I watched a programme about Magic on TV last week in which JK Rowling, Author of the Harry Potter books, said ‘To me a library is truly a place of magic’. This statement made me realise how lucky the pupils of Granard are to have their very own library within the School Building. I recently revisited Granard library at lunchtime where Mr Dark showed me and another Governor all the improvements that have been made so that our collection of books is even more accessible to the pupils. Many new books have been acquired and everything is now colour coded so that the children can easily find something to read that will suit or challenge their abilities. Library Monitors have been appointed to help others find their way around. The beneficial effect of this is that, despite the fact that the library is an increasingly popular and busy space, it has become a tidy and welcoming place. Being curled up with a book relaxing on the comfy sofa or a cushion, reading for pleasure is increasingly popular with many pupils as a lunchtime activity. This space is very important as it encourages the life enhancing skill the children are acquiring. The soon to be expanded Cedar Readers Club will be meeting here as well. Also Rufus, the dog who comes in from the charity Read2Dogs, enjoys his time in our friendly library on Monday mornings while children read to him. Congratulations to Mr Dark and all the other people involved in making this magical place possible! Christmas is coming up fast! This year I suggested that we should have some special Granard cards for the Festive Season. We are very fortunate that Miss Pinkess has organised all the children to design cards on the theme of ‘Winter’. A special selection of these will be available to buy, in packs of 10 for £5, at the Winter Fair on the 1st December. There will be other merchandise available too; all designed by the pupils, such as iPhone covers, mugs, wrapping paper, coasters, tags, teddies and fridge magnets. I very much hope you will support Granard in this venture. Not only will you be purchasing beautiful items, you will be helping to make a little profit for the school. The funds raised will go towards the many special activities Granard pupils continue to enjoy in this time of reduced school budgets. I look forward to seeing everyone at The Winter Fair. This busy term has begun so well for Granard and we, as your Governors, congratulate the school on achieving the IQM: this is the Inclusion Quality Mark which celebrates the school’s inclusive and supportive approach to all its learners. Our Co-Chair, Deirdre Chapman, was able to attend the award ceremony up in town and she said it was ‘fantastic to see the positive energy gained through educating children in a way that looks at the whole child.’ You will all be hearing more about the award – there will be a shiny plaque up in school and more explanation of the thorough process behind it: a lot of hard work has gone into achieving it and this will continue. Governors would also like to express a warm welcome to Mabel! Several of us met her at a meeting last week and couldn’t resist her soft fur and gentle personality. I’m sure students are going to enjoy having her around. At our next meeting about the school’s Curriculum and Achievement, on Thursday, we will be looking closely at last summer’s results, many of which were very good: assessments have been changing and the school – like every school – is working hard to enable your sons and daughters to achieve their best. We will also start a close look at homework: please get in touch with me or any of the Governors, or your child’s teacher, if you would like to add your thoughts about homework. Watch this space! From all the Governors at Granard. Welcome back to the new school year. It has been great to see all the children and teachers settling into the new year over the last two weeks. It is always both an exciting and sometimes emotional period of the year. The Governors also extend a warm welcome to Mabel the dog. We were asked by the Senior Leadership Team during the last summer term for permission to have a full time ‘school therapy dog’. There is growing evidence of the benefits of having a dog on school premises, for the support of both the emotional and educational needs of children in school. What an exciting addition to the already inclusive environment that Granard provides. We would also like to say congratulations regarding Granard's STARS Gold Award mark. It is a positive sign that the children and families at Granard feel strongly about the benefits of using healthy and active means of travel in both their journeys to and from school, and elsewhere. The fact that the school has also been granted the Inclusion Quality Mark, noting its excellence in creating an environment where children are both excited and engaged in their learning, shows how the school is going from strength to strength. It is the Governors’ job to oversee that the school is run in a sound manner, both fiscally, strategically and philosophically, and we look forward to another year full of further accomplishments as well as exciting challenges. At this point in the year the Governors would encourage all parents who would like to contribute more to their children’s learning to actively volunteer at the school, volunteer for PTA events, attend school workshops, and support your children’s learning through reading with them at home. You can make a difference. Governors have been delighted to hear the good news about phonics and SATS results. We congratulate all our students and families, and the teachers and all staff at the school for all your efforts. I came in to monitor how the Year 6 SATS were going and was much impressed by the careful organisation of the tests and the concentration of our students. Cedar Readers and The Battle of the Books has been another excellent development this year. Congratulations! Keep reading through the summer holiday, everyone – take your book, kindle or audiobook with you on holiday or have it ready at home and have a great summer flying away on the magic carpet of stories. The Summer Reading Challenge is ‘Animal Agents’ this year – find out more at your local library in Putney or Roehampton. Enjoy the holidays! Have a great time preparing for your new schools Year 6! Looking forward to seeing everyone at Granard in September. As the Governor with responsibility for links to literacy I am pleased to say that Granard now has an official Book Club, called The Cedar Readers. We have been very lucky to have gained the support of the local libraries in Putney and Roehampton in establishing this new resource. They are loaning sets of books for the very excited group of Granard pupils who are pioneering this project. Another initiative I was able to introduce over 2 years ago is for Rufus, a very special dog, to come into Granard so that children can read to him. This has proved to be very popular and I would like to thank Carol, his owner, for taking the time every Monday morning to bring Rufus into school to make this possible. I would also like to thank all the volunteers who make the commitment to come into school regularly to listen to children read. This is a truly valuable service and much appreciated. If anyone would like to find out what is required to join this wonderful group please contact Rachel Busby at the school for details. One of the other things I do in my role as a Governor is to be a link for the School Council and FROGS. This year the School Council has gone from strength to strength and come up with some amazing ideas for fundraising to enable their plans for improvements in the play areas of the school to come to fruition. The mini-marathon and cake sales, which every class took part in, raised nearly £2,000. This has been shared between various charities and the playground projects. There is to be a meeting after half-term to decide on the next project! My involvement with both of these groups has been an advantage as I was able to ask FROGS for help with the cake sales, checkpoints along the route and much appreciated ice-pops on the day of the mini-marathon. I think that having a Governor presence within these two areas gives a valuable insight into how the pupils and their parents feel about their school. I am pleased to say that it is extremely positive! Being a new Governor has been a very exciting and enriching experience. It has provided me with an opportunity to observe, understand and be a part of the education system in an in-depth manner. Alongside, it has also nurtured my passion for being associated with children's development and education. The role of a Governor is one of great responsibility as one is required to scrutinise and constructively contribute to better the teaching methodology and working of the educational institution as a whole. Through my interactions with the Headteacher, staff members and other Governors, I am confident that our children are in good hands with all their intellectual, social and emotional needs being addressed in the best possible manner. I would like to take this opportunity to thank and appreciate each member of Granard Primary School for their commendable efforts. You may have noticed how we have been working on various areas around the school to improve the quality of the outdoor space. On the evening of Easter Monday our friendly volunteers from the ‘GoodGym’ runners ran up and dug a trench inside the wall bordering Westleigh Avenue. Since then most children have planted a small tree as part of a new hedgerow. With many thanks to all the class teachers, Mr Andrews, our Premises Manager, as well as ‘GoodGym’ runners and the Woodland Trust, who donated the trees. You will have read that schools in England are under pressure and that funding is being re-distributed by the Government. Whilst this has considerable challenges for us at Granard, I am pleased to say that our experienced Senior Leadership Team, superbly supported by the staff, are ​finding solutions that will ensure that the education of the children will be unaffected. We are hugely grateful to the hardworking and dedicated staff for all they do for the School and for their resilience. On behalf of all Governors I wish you a happy Easter holiday. As this is my first time writing for the Governors' blog, I thought it would be a good opportunity to introduce myself and to tell you a bit more about the role of a governor and what I've experienced and learned as a Parent Governor so far. I have two children at Granard, Jacob in the Nursery and Carla in Year 3, and when a Parent Governor position became vacant, I decided to volunteer in order to give something back to the school. The role of a school Governor is to provide strategic support and accountability to the school. The National Governors' Association describes the role of a governor as that of a "critical friend", which I think is a very good analogy. That means we're there to ask questions, to check facts and figures, but not to act in an operational capacity and get involved in "doing". There may be Governors who volunteer on a practical level, as reading helpers for example, but that is separate from his or her role as a Governor. It is important that the Governing Board is made up of a variety of people, including parents. As a parent, I feel I am able to bring a different perspective and provide insight to Governors who do not have children at the school. However, Parent Governors must also be able to step back from the role of parent and see things objectively, setting aside any personal feelings. There is a steep learning curve for most new Governors and it's not uncommon for a new member of the team to feel overwhelmed with information at the beginning. However, the leadership team at Granard and the experienced Governors are incredibly supportive and I have also attended two invaluable training evenings organised by Wandsworth. I am definitely learning new things about the school and the education system. "Growing together; Achieving together" is Granard's school motto and during the short time that I have been a member of the Governing Board, I have seen this demonstrated by all involved with the school. All at Granard are on this journey together: the pupils of course; also the teachers and support staff, who are regularly taking part in training sessions and exploring new methods of teaching; parents who are attending workshops and learning about how best to support their children's learning, and Governors, like me, who are not only undertaking formal training, but also learning about all areas of school life and the education system with each visit to the school. You, as parents, are an important and integral part of the school and play a huge part in your child's learning and development. I hope that you can find a way to be involved in the opportunities offered by the school to grow and achieve for yourself and alongside your child/children, whether that be involvement with FROGS, volunteering on a school trip or taking part in a parent workshop. Teachers, support staff, administrative staff, pupils, Governors and parents, we should all feel part of Granard and see ourselves as responsible members of a team working to grow together and achieve together. The role of a governor is an ever changing and evolving one. The years seem to fly by, but there is always something to learn. The Granard Board of Governors has in the last year seen many changes. Due to members moving out of the area, and terms of office finishing we have had six new Governors join over the last year. This has also led to the restructuring of the committees that members of the Board sit on. When I initially joined the Board there were five committees, but we have now changed that to have only three:- Curriculum and Achievement Committee, Resources Committee and Children/Family/Community Committee. Through these committees we are able to gain an overview of the breadth of the issues that arise in the running of a big growing school such as Granard. The education of the students of Granard is of the utmost importance to all of us in the Granard community, but an essential part of that equation is personal wellbeing as well as the financial viability of the school. As Governors of this committee we help to ensure that the school is doing its utmost to educate well, manage well, and also look after the social and emotional health of the children, staff and families of the school. For parents of young children, Granard has a vibrant Children’s Centre which provides a varied calendar of activities for both children and parents. The school also has excellent staff, led by the Deputy Head, Liz Murray, who look after the social and emotional wellbeing of the children on the school roll. Also the Breakfast Club and After School Care provide excellent wraparound care for children. As a result of the retirement of our amazing previous Chair of Governors, Wendy Gairdner, I have recently taken on the role of Chair of the CFC (Children Family and Community) Committee. I am looking forward in the coming months to gain new insight on the valuable work that Granard does with their Children’s Centre, Breakfast Club and After School Care, and in house services that promote the wellbeing of its children and staff. The CFC Committee also looks at attendance. It is the committee which links to FROGS and also oversees the cooperative work done with local charities. After several years as a Governor I am still learning new things about the school every day. Feel free to contact myself or any of the Governors of the school if you have questions or queries about the work we do, and do not hesitate to ask at the Front Office or ask your child’s class teacher if you have any questions about any other aspect of the school. At the end of the second week back everyone must feel like the holidays were a lifetime ago, and as 2017 gets going each of us will have resolutions to try something new or stop doing the things we think we shouldn’t be doing. This year, I’d encourage our families with children under five to try one of the incredible activities the Children’s Centre is offering. There’s baby massage, adult Maths and English lessons, work and nutrition advice, and even yoga for mum and dad! It’s a pretty incredible Centre and I would love to hear from all parents whose children attend it to learn more about your experiences and any ideas you have for how it can go from strength to strength. I joined Granard as a Governor in August, so I’m still getting to know the school and its families, but it’s been such a delight meeting so many of you so far. Outside of my Governor role, I work in counter-terrorism – so very different to supporting the Children’s Centre but both are about supporting our communities to be stronger, together. Every time I visit Granard it’s the happy faces peering out of classrooms and running around the playgrounds that I take away with me. We are very lucky at Granard to have such a happy community. Thank you for such a warm welcome so far and I look forward to meeting many more of you in the years to come. We are delighted to welcome your new Parent Governor to our Governing Body and to the Curriculum and Achievement Committee, which I chair. Gulnar George is an experienced teacher who will bring valuable professional knowledge to our discussions: she has taught in India for several years. Welcome Gulnar! Gulnar’s older son is now at Granard. When our committee met in October, we discussed the progress of Year 6 and in particular how vital it is for Year 6 students to have your support, as parents: they do so much better when encouraged by you – talking about homework, reading together, discussing lessons they have had. You make such a difference to how they get on – thank you for all that you do. We were excited to hear about the PiXL programme which the school has invested in so as to give students some very individual tuition to strengthen their learning: I will be going into school soon to see a session in action. Please let us know, parents and carers, how it is going for your children. The school library is another area that we take great interest in: I’m sure lots of Year 5 and 6 students are taking part in the reading competition (see this week's newsletter) – being ‘lost in a good book’ is always a brilliant experience. And then writing a great review makes other people want to read it too. Waterstones (where the prize winners will be going) is full of amazing books at the moment – David Walliams’ latest and lots of others – picture books and books with stories… please sponsor some more books for home reading! I’m going to recommend Marcia Williams’ wonderful cartoon- style illustrated retellings of Shakespeare’s plays, Robin Hood, Greek Myths, King Arthur and many others: look out for her books and enjoy them together this Christmas. Being a Governor at Granard is very rewarding. As you know, governors are often in school monitoring what is happening in the classrooms. This is to both support and challenge the school to get the best education possible for all the pupils. I was present at a Year 4 Art Day last week where the children enthusiastically looked at and learnt about ‘Installation Art’. It was wonderful to see how much they were enjoying themselves while they were learning. Mrs Garcia showed the class pictures of various examples of this art form. These included Tracy Emin’s ‘Unmade bed’ and Ai Weiwei’s ‘Chandelier’, which is made of bicycles. The class also made their own Installation, featuring flying and swimming fishes. It is on display in the corridor for the whole school to enjoy. There is much research to back up the theory that simply looking at pictures, whether in a picture book or at an Art Gallery enhances a child’s imagination, speech and literacy skills. We are very lucky that at Granard we have a library and books that children can use to help with all of this. Additionally, in Putney and Roehampton we still have free Public Libraries with dedicated Children’s Librarians to encourage and advise the children. This is a wonderful resource and should be used so that we don’t lose them, as is happening in other parts of the UK. In August many of our pupils took part in the Summer Reading Scheme organised by our local libraries and 25 Granard children are to receive certificates for their excellent work on this project. Look out for the Christmas Activities at the libraries that will soon be advertised! If you are able to go out and about in London during the Christmas holidays, or any time, please take advantage of London’s wonderful free Art Galleries and Museums as well. It really will help the children with their studies. A child’s education is a partnership between parents and their children’s school. Please encourage your children to read books, look at all sorts of pictures and write about them too. This will help to set them up to succeed and everyone will reap the rewards. I am Chair of the Finance Committee which has responsibility for the careful financial management of the School. This involves agreeing annual budgets both for day to day expenditure and investment, and ensuring that the School operates within those budgetary constraints. ‎The Committee meets at least three times a year to review actual results against these budgets and reports each term to the main Governing Board. I am pleased to say that the School's financial management is conservative in its approach, well managed and makes every effort to meet its targets. Progress in the current year is, as previously, satisfactory. Granard is a vibrant and dynamic part of the local community. As a growing school, its potential to positively impact and involve its locality grows each year. The school currently has more than 500 children. With the parents, staff and associated support networks there are roughly 2000 people involved in the immediate day to day activity of Granard school. As a school we have a huge presence! The role of the Governing Board is to oversee various strategic aspects of the school. It has a job to both support and challenge. An example of this is the need for the Governing Board to ensure that the vision and ethos of the school is embedded both in the internal running of the school and the external profiling of the school. The school itself works with the wider community in several ways; a few are listed here. The Children's Centre provides an important entry point for parents and children to the immediate Granard community. The school is able to provide swimming tuition for other schools and individuals within the area through its pool and coaching staff. FROGS provides a parent and carer network to organise seasonal activities for the children and raise funds for school initiatives. The governors have also been working on expanding Granard's presence in the community. The 'Bags of Help' project with Tesco involves all parents, friends and neighbours voting for the Granard playground project at the local Tesco Express at the bottom of Dover Park Road. By encouraging those around us to vote and support our school we earn funds to enrich the Granard outdoor playground provision. Voting starts on the 31st October! The governors are also working to engage a local charity, the GoodGym in Wandsworth, to provide some much needed people power on a few outdoor projects. The positive action of this charity enables the school to progress on several projects which enrich the school environment without interrupting the day-to-day school maintenance and educational provision. More and more we are having to raise funds through grants, maximise the positive use of social media networks and involve local charities. To maintain the positive growth of the school there is no opportunity for complacency. As governors, parents and members of the community we have a role in ensuring that Granard school is set up to succeed. If anyone is interested in how they can contribute to the school further, please feel free to contact the governors. I wonder if you would agree with me that the phrase "Health and Safety" has become a bit of a joke. We often blame Health and Safety regulations for imposing irritating limitations on how we live our day to day lives. We forget that most of the regulations are in place for very good reasons, to keep us all safe. They are important in all public buildings and in schools we might think that they are particularly important to keep children safe. The man in charge of Health and Safety at Granard is Steve Andrews, our Premises Officer. Once a year the school is inspected by the Health and Safety Team from Wandsworth Borough Council, following their visit they issue a report in which they make a judgement on the school's compliance with all the regulations and also make sure all our records are up-to-date. I am delighted to be able to report that Granard has been given the best possible rating: Very Good. Well done to Steve and his team! Early Years met the school target for reaching a ‘Good Level of Development’. Year 1 phonics: 88% of Year 1 reached the Phonics threshold – an ‘amazing result’. KS1 tests: 82% reached the ‘expected level’ in reading, 75% in writing and 80% in maths – again very good. KS2 tests: the vast majority made or exceeded ‘expected progress’. There are now three descriptions of students’ attainment: ‘working towards the expected standard’, ‘working at the expected standard’ and ‘working at greater depth within the expected standard’. The expectation is that most Year 6 students – like ours – will achieve ‘working at’ or ‘working at greater depth.’ Well done! We as Governors would like to congratulate everyone – students, teachers and classroom assistants and, of course, parents and carers - on these successful outcomes. When the Governing Body and the Curriculum and Achievement Committee meet later this term we will be able to look at last summer’s outcomes and the preparations for this year in more depth. Please let us know if you have any comments or questions about the outcomes. With best wishes for another great year! Governors are preparing themselves for the new school year with some notable gaps in our numbers. For a variety of reasons, several very experienced and much valued colleagues left us at the end of last term. We are working hard to fill these gaps. In particular we are looking for two parent governors. If you interested and would like to know more, please do get in touch with me wendy@gairdner.co.uk), Deirdre Chapman, Mum of Arlo (3M Dahl) and Ailsa (2F Foreman), Mrs Grigg or Mr Wheeler. We would all be more than happy to tell you a little more about this role. We also have a couple of spaces for co-opted Governors, although I am delighted to be able to tell you that one of these spaces will be taken by Alicia Kearns. Alicia is a civil servant who lives locally and has experience in organisational communications. She will be joining our Children, Families and Community Committee where I feel sure her skills and experience will be of great benefit to us. I would like to begin this last Blog for this year to tell you about a wonderful show I attended last Wednesday. For me, quite the best thing about being a governor of Granard is the opportunity it gives me to sit in on Assemblies and Performances like the Little Pirates Adventures by Year 1. Under the auspices of Wandsworth Schools Music Service the children and teachers of Year 1 have been working hard throughout this term to put this show together. This involved learning the words of the story also the words, tunes and actions of a large number of very jolly songs. There was also plenty of evidence of parents having gotten involved in producing some very colourful costumes. One proud mother to whom I spoke after the show told me about the important part the parents had also played in helping the children learn the words of the songs. It was all quite wonderful. The narrators made excellent use of the microphone to speak their words clearly and, as far as I could tell, without a single slip up. I was delighted to see how many parents were able to attend the show. It was standing room only. To return to the more serious duties of governors, I am delighted to be able to tell you that we have made an important new addition to our Governing Board. Last time I wrote I mentioned a number of vacancies which were coming up at the end of this school year. One of those we have now filled and another will, I hope, be filled before the end of term. Hannah Gomersall, a barrister who specialises in child protection law, has joined us to take the lead in making sure the school is doing everything it can to ensure that the children stay safe. This is known as "Safeguarding" and is a very important area of responsibility for governors. Finally, I want to use this space to say thank you and goodbye to those governors who are leaving us. Pat Dark has been a tower of strength as my Vice Chair for a number of years and also as the Chair of the Curriculum and Achievement Committee. Andrew Dyer, Chair of Finance for the last four years, began as a parent governor but gallantly stayed on after his children had left the school. Julie McCaffery and Jason Grant, parent governors, have also played important roles on the Governing Board, Julie in literacy and the library, and Jason in matters to do with our buildings. Thank you all! Anyone interested in becoming a parent governor please contact me on Wendy@gairdner.co.uk or leave a note at the school office. We will be holding elections in the early part of next term to fill two vacancies. I wish everyone a safe and happy summer break with my fingers firmly crossed for some good weather. We are coming towards the end of the school year. We governors have just started a round of committee meetings in the run up to the final Governing Board Meeting of this year. The Curriculum and Achievement Committee met last week; this week we have Children, Families and Community, and next week, Premises, Finance and Pay and Personnel. Most of the work of the Governing Board is done in these committee meetings. We hear reports on various aspects of school life and have a chance to ask questions and receive detailed answers. This is a very important aspect of our work. It is our responsibility to ensure that the staff are doing as good a job as can possibly be done to ensure the children at Granard get the best possible education. Below is one example from each committee of the range of work that we do. In Curriculum and Achievement we have discussed the teaching of science.Mr Kendall, very ably assisted by two children from Year 4, demonstrated the use of the exciting new teaching tools provided by Empiribox. In Premises we shall be checking on the window replacement programme. In CFC we shall hear about the measures being taken to improve attendance. In Finance we shall be comparing Granard's financial management with that of other similar schools. In Pay and Personnel we have been keeping an eye on staff sickness levels. We will have several governor vacancies in the Autumn term. If anybody is interested in becoming a governor please contact me on Wendy@Gairdner.co.uk, leave a note at the Front Office or speak to Mrs Grigg or Mr Wheeler. All the Governors at Granard have individual responsibilities relating to their particular skills, in addition to the ones we share as a Governing Body. Mine is mostly concerned with Literacy as I have a special interest in both the words and the pictures in Children’s Literature. I am always on the lookout for schemes that will help develop a love of reading amongst all the pupils. Reading for pleasure is a valuable skill for life, the ability to be ‘lost’ in a book is beneficial at all ages and stages. At Granard we are very lucky to have a Library; which has been expertly re-organised by Julie McCaffery, a Parent Governor. This is a wonderful place where all pupils have the opportunity to browse and choose their reading matter, from a large selection of picture books to novels. There is everything from classical favourites to the latest publications from current authors and illustrators. I also attend meetings of the School Council and have been impressed by the many interesting ideas the student members have put forward to improve both playground areas. One idea that appeals to me is to set aside a space with seating, surrounded by plants, so that those pupils who would like to can sit and read and chat. In order to link these two areas of interest I have been in touch with Putney Library’s Head Children’s Librarian. 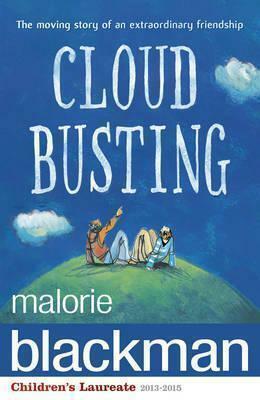 She has kindly agreed to help Granard set up and run a Book Club for those pupils who are interested in reading for pleasure. Hopefully it will inspire others! Over the long summer break Putney and Roehampton Libraries are running a 6 week Summer Reading Scheme, starting on the 16th July. It is free and the theme is Roald Dahl. It sounds like fun and is open to all ages. It is an excellent way to keep the reading going whilst the pupils are not in school. Last but not least, the School Council is about to produce its first Newsletter. We are working on the format and designing a logo at the moment. The children have been looking at examples of layout and are enthusiastically discussing content. Their meetings are lively and informative so I expect the Newsletter to reflect this. It is a privilege to be involved in this new venture. The Council members are very excited about it so please look out for the pale blue paper to arrive! As we all know, KS1 and KS2 assessments have been going on through the last few weeks. There has been a very noisy national debate about the tests themselves and their value for our children. I am sure you will have been passing on your views about how the tests have affected your children to their teachers. As one of your governors, I came to the KS1 Literacy Workshop for parents in February, when Miss Harper-Tarr told us about the test and showed us some examples of what children would need to be able to do. I then also came to the SATs workshop for Year 6 parents whose sons and daughters were a few weeks away from the tests. I think all the parents came away feeling they understood the tests much better. Interestingly, some parents told me they did not think the previous tests were as hard as the ones in the countries where they themselves went to school, so they were in favour of these harder tests. It will be very helpful to get the feedback from Year 6 students and their teachers at our next Governors’ Curriculum and Assessment meeting. The Government will be listening to Headteachers’, Governors’ and Parent Associations about their reactions and we can pass on your comments to our National Governors’ Association. At the Year 6 SATs meeting, Mr Wheeler also publicised the shared breakfast every day in SATs week – a chance to get an unhurried breakfast, have some friendly chat and get ready together for the tests. 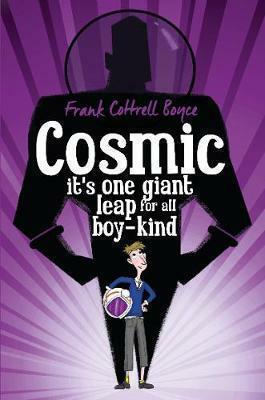 I am sure Year 6 students must have enjoyed this! There are some exciting developments at school which we Governors strongly support and I am sure you will too: a new Science programme called Empiribox should mean that, next school year, pupils can do many more experiments and build up their science knowledge. Shirley Hobson, Governor, will be up-dating you on library developments soon too. Please let any of us know if you have thoughts or questions about the curriculum your children are following. I’ll be behind one of the teapots at the Summer Fair so look forward to meeting more of you then! As a Governor member of the Curriculum and Attainment Committee I have an interest in Maths. I recently attended a KS1 Parents Maths workshop which demonstrated how basic mathematical functions are calculated. Knowing the exact way that calculations are made at school is an invaluable tool for parents helping their children at home when doing homework. The workshop was excellent and well presented. I was able to meet a few parents and together we completed some of the challenges set. I also met with Kate Burrett, Maths Co-ordinator, to discuss how maths marking is carried out at the school. She showed me a representative sample of books across the attainment spectrum, where I was able to see the effort that teachers put in to marking work in a meaningful way, using the "Pink for Perfect, Green for Growth" policy. I was able to see children's responses to the Green comments, reflecting interaction in the learning process. Lastly, on the 17th May Miss Kate Harper-Tarr and I accompanied a group of talented Granard mathematicians who took part in an Able Maths workshop at Smallwood School. This stretched their abilities and provided them with further maths-solving tools. As a governor of the school I always find it interesting reading the other Governor's blogs in the newsletter, as I nearly always learn something new! Granard is such a big vibrant school, with so much going on, that even the Governors have specialised responsibilities in relation to the school. The Governing Board is divided up into separate committees which meet at least once a term, and then there is a full Governing Board meeting once a term to keep everyone abreast of all the varied work going on in the school. The blog in the Newsletter is a nice way of keeping up-to-date on a weekly basis. The Governing Board of Granard is a constantly evolving group of individuals, some of whom are from the local community, some who are staff, and some who are parents of children in the school. We all have terms of office running for 4 years. Being a governor provides an amazing opportunity to be engaged in the strategic focus of the school, while also developing a stronger grasp of the broader educational system. But, the practical matters of the school are also important! As Chair of the Premises Committee, I work with other Governors and the tireless staff to ensure that the physical environment the children are learning and playing in is continuously kept up-to-date and renewed when necessary. We have been systematically working on refurbishing all the playgrounds, and are about to start the extremely exciting replacement of all the old drafty windows in the school! This will refresh the main school buildings, as well as making us far more energy efficient throughout the school - something which is both good for the environment and good for school finances. I have found being a Governor an interesting and satisfying way to contribute to both the school and community, but there are many other ways to contribute and be involved in Granard! All parents are welcome at FROGS (Friends and Relatives of Granard School) meetings - your talents, energy and skills are always needed! There are also numerous opportunities to volunteer for both in school activities and out of school trips. Don’t hesitate, get involved! Granard is a welcoming and inclusive school, and as parents of the school we can make it even better. If there are any parents who are interested in being a Governor please feel free to find me in the KS1 playground, or email me at the address below. I look forward to speaking to you. One of the main responsibilities of the Curriculum and Achievement Committee is to be assured that the statutory National Curriculum is being implemented and assessed effectively. The new curriculum was introduced in September 2014. The primary curriculum sets out its aims and programmes of study for all subjects at all four Key Stages (primary and secondary). For Granard, teacher assessments starts in Early Years and then in KS1 there is a phonics screening test in Year 1 and national tests and teacher assessments in reading, grammar, punctuation and spelling, writing and maths in Year 2. National tests and teacher assessments in reading, grammar, punctuation and spelling, writing and maths, and teacher assessments in science also take place in KS2 in Year 6. The National Curriculum aims to give children independence, showing understanding by increasing basic skills and developing a deep understanding of the year’s work. At each meeting of the Curriculum Committee a subject leader attends and outlines the subject content, how it is being taught and monitored and how they know progress is being made. Recently, we have had the maths and music leads attend and at the next meeting the literacy co-ordinator is coming. This provides a really useful opportunity for governors to question subject leads to ensure we are meeting our responsibilities. The SLT talk about what they are doing to ensure quality teaching and how they are developing the staff. Pupils’ enjoyment and love of learning are seen to be a key part of quality teaching. Mrs Grigg says that Wandsworth Council are running some excellent courses and teachers are being freed to attend. At Granard they are also using staff meetings to raise expectations. Throughout the year several days have been devoted to address the delivery of the new curriculum. The Curriculum Committee also talk about what progress is being made at Granard at each Key Stage and how this compares with other schools, locally and nationally. We are also keen to know that children with special educational needs or receiving pupil premium are making good progress. Each governor has a lead responsibility for a specific area such as a subject area, the building or finance, so we visit the school regularly to be assured that progress is being made and any issues identified are being addressed. One governor also attends School Council meetings to hear the children’s views. Please look at the school website or the DfE website for further information about the National Curriculum, implementation and assessment. It was wonderful to read, in the previous newsletter, about the success of last week’s World Book Day event here at Granard. It therefore seems appropriate to offer a quick up-date on what’s been happening with the Library so far this year and what our plans are for the future. A recent and very exciting development has been the recruitment of 8 enthusiastic volunteers from Year 6 as Library Monitors, who will help to keep the shelves tidy, select books for display that they’ve enjoyed or that they think look interesting, and longer-term, to help introduce younger pupils to the Library and assist in colour-coding the non-fiction section. A huge thank you to everyone who has been prepared to give up their lunchtimes to provide this valuable support! Since September, we’ve reorganised the books to ensure that similar non-fiction subjects are shelved closer together, and we’ve moved the books about animals out from underneath the stairs and onto the main shelves. We’ve also added more subsections in other areas, so that books on major topics such as the ancient world or British History now have their own subsection. This should help the children to browse the shelves and more easily find books on specific topics. We also now have very smart new signage in place, bearing the Granard tree logo. Our plans for the future include arranging training in how to use the Library catalogue software, which will not only be a helpful introduction for new staff but hopefully also act as a useful refresher session for longer-serving staff members who may not have actively used the library system recently. Following on from that, we’d also like the pupils to be able to do more with the Catalogue than just look up, borrow and return books: for instance, the software offers a book review feature that enables students to post comments about books they’ve read, to share with other Library users. We’d also like to use the Library space to create themed displays of books, book reviews and posters throughout the year. These could be based around things like class topic work, that month’s value or other events that occur throughout the year, such as Black History Month, the Olympics or commemoration of a specific historical event or individual. I am sure I was not the only member of the Granard community who was absolutely bursting with pride at the opening of our new Cedar Building on the Friday before half term. I have it on very good authority that Michael Foreman, the Author and Illustrator, and our very special guest opener, was absolutely delighted with the Assembly at which the children expressed their appreciation of his work in a variety of wonderfully creative presentations. I thought the overall standard of presentation was the highest that I have seen in my 15 years as a Governor. It is a great shame we do not have a big enough space to accommodate all those parents who would have wished to be there. It is also a great shame that despite Kim Humphreys’ best efforts to invite them, there were no representatives from the Local Authority and none from the local press. They missed something special. Those children who were not able to attend the Assembly, including a number of very small ones from Nursery, queued up for a balloon and waited patiently in the playground until Michael had performed the opening ceremony. The unveiling of the mosaic on the wall of the new building was a highlight. Do go and look at it if you haven't already. For the children I am sure the real highlight was the launch of the balloons. It was Mrs Grigg's idea and it was truly a wonderful moment. A special thank you is due to the team of balloon inflaters who blew up no less than 500 balloons. I heard today that at least one of the balloons travelled as far as Kent. Perhaps others went even further. School finance was a topic I knew nothing about when I became a parent governor in 2012. I did think that money would be tight and important decisions would need to be made in deciding how to spend what cash we had. I was right. It costs just over £3.1m to run Granard for one year. Most of this money has to be spent on the obvious things: staff costs maintaining, heating and lighting the buildings and teaching supplies. Other items are discretionary, improving the playgrounds, upgrading school iPads, replacing the windows etc. School budgets, in 2016, will be flat. No more money will be allocated to schools as was the case in 2015. What this means is that inflationary increases to all costs will have to be absorbed. As a growing school Granard is reasonably well placed to cover these increases. It is also true to say that every pound we save is a pound that can be spent on improving the learning environment for the children. In that respect I'd like to highlight the work of Sharon Broaster, School Business Manager, Steve Andrews, Site Manager and their colleagues who strive tirelessly to ensure that the school is getting the best value for the money it spends. They have saved the school thousands of pounds, money which is redirected towards the education of the children (as we don't make a profit!) and we owe them our thanks. I was asked to be a Parent Governor when Peter Smithdale announced that he was emigrating to Australia. Peter is an architect and had done an amazing job overseeing the building of the new Early Years classroom extension. Peter had already started overseeing the imminent development of the new KS2 classroom block. As a Chartered Surveyor, I have experience of property and development. Wendy Gairdner and Peter thought that I would make a good replacement for Peter in this capacity. 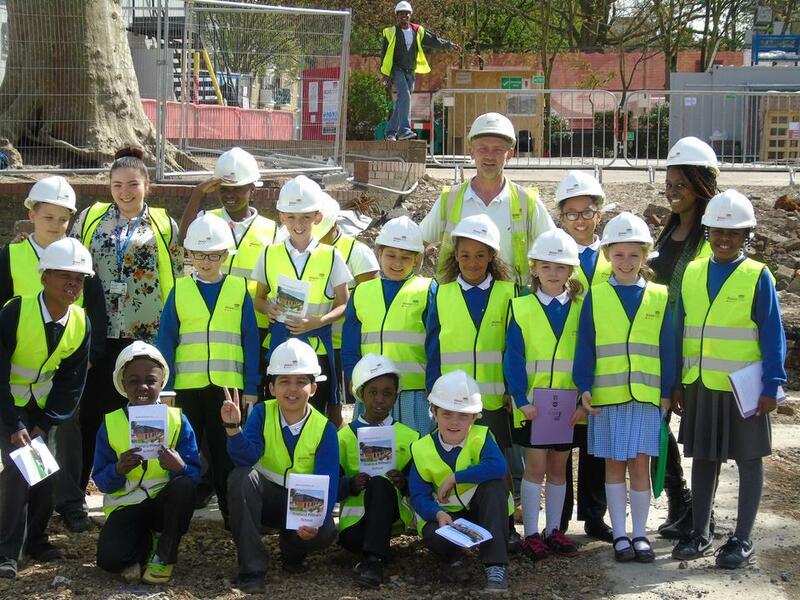 The regular Site Progress meetings were attended by the Wandsworth Council representative, the developers and their consultants, and the school’s Premises Committee headed by Deirdre Chapman. Whilst the school would be using the new block, the Council were the client. This project was exciting but at times challenging, marrying the interests of the three parties; the developer, the school and the Council. Mrs Grigg and her team gave excellent input as to what was required from the new classrooms. Steve Andrews was a valuable member of the team with his practical experience of the school. He raised issues and solved problems in relation to how the building would operate. We monitored the construction and made sure that any snagging issues with the building were dealt with. There were problems along the way, not least when the power shut down at the school. This did not just happen once but a number of times and Steve rose to the challenge, sometimes working through the night and the weekend to ensure that disruption to the children was kept to an absolute minimum. I think all will agree the new classroom block is amazing and the envy of all the children who have yet to use it. Hello everyone! I am one of your new Governors and am thoroughly enjoying getting to know Granard properly. For four years I passed the school several times a week, visiting a friend in Ashmead Care Home and now I can go through the school gates and get to know everyone! Granard is such a lively place. As Governors, we hear about how hard the staff and students work to achieve great results – and there is always something to celebrate. We also have a chance to question the teachers about how they work on Literacy or Maths, or what exciting visits they are planning for different classes. I have a lot of experience of secondary schools, as a teacher and as a Governor, and it is fascinating to learn more about such a good primary school. As an English teacher, I love the fact that your classes are all named after authors. Lauren Child, JK Rowling and Philip Pullman are particular favourites of mine. We were very impressed by the school’s response to the ‘Love-in-a-box’ Shoe Box Appeal for Christmas – 53 boxes! Thank you all so much. The church which organised the appeal sent off over 100 boxes altogether and hugely appreciated what you at Granard contributed. I reported your news in the St Margaret’s Church magazine – so lots more people will read about what you did. I will be one of the people welcoming you all at St Margaret’s for the Carol Service on Thursday 17th, and, like you, I will be wearing a Christmas Jumper and texting Santa on Friday 18th for the Christmas Charity Appeal. Being a Governor at Granard is already one of the highlights for me, and I look forward to getting to know you better as the year goes on. Happy Christmas to you all, and a Happy New Year! We are coming to the end of a very busy few weeks and I am sure everybody is looking forward to the Christmas break as much as I am. We had our final committee meeting for the term on Thursday. The Curriculum and Achievement Committee meets twice a term providing a very important forum in which Mrs Grigg and the SLT can share with us the latest information about the progress and attainment of the children. It is our job to ask questions in order to be sure they are doing all they can to make sure the children do progress. We look in some detail at the objectives set out in the School Improvement Plan and have the opportunity to hear about the successes so far, and the measures being put in place to deal with any areas of concern, and children who seem to be falling behind. Last week, I was one of three governors who conducted Mrs Grigg's annual performance management review, ably assisted by a Link Inspector from Wandsworth. This is another very important part of our job. Like all the staff at Granard, Mrs Grigg has annual performance targets linked to the School Improvement Plan. At the review meeting we look at her performance against last year's targets, and agree new targets for the coming year. This was a particularly important job this year, given Mrs Grigg's new responsibilities as an Executive Head. Our job is to ensure that Granard continues to flourish under the new management structure. Interviews with individual members of the SLT provided further information which was fed into the Review. There have been some challenges this term, but all the evidence collected in the course of this Review process confirms our view that the school is in very good shape with exceptionally fine leadership. We hope OFSTED will agree with us when they come to call. Every School term there is a full meeting of the Governing Board of Granard. For those who don’t know, the Board comprises some staff from Granard, volunteer parents and a number of people from the community who have also volunteered and then either been co-opted or appointed by our Local Authority, Wandsworth. Each individual Governor has a role which is suited to his or her expertise and, therefore, we are a fairly diverse range of people. We are lucky to have an excellent Clerk, from the Council, who comes to our meetings, keeps us in check and advises on legalities and other matters. Within this Board there are various teams of Committees who meet more often during the term to help the school with day to day management in order to provide the best possible education for the pupils. These include Committees such as those devoted to the Premises, Finance, Curriculum and Achievement and Children, Families and Community. We have just had the Autumn term meeting at which the Committee Chairs reported back to all the Governors. Anything and everything can be confidentially discussed in this forum. The Headteacher reports back on successes and any problems within the school. It is a time to find out what everyone else is doing and talk through and act on anything that needs attention. At the recent meeting, the Headteacher was congratulated by the Governors on the success Granard achieved in the National Phonics Tests. The meeting was held for the first time in the new building. Everyone agreed that this addition to the site is really excellent and we were told how much the pupils and staff enjoy working in such bright and well-designed classrooms. We were extremely lucky to have a parent governor who became involved in the planning of this project. Just one example of how important Governors individual skills can prove to be! If you would like to contact the Governors for any reason, please look at the Granard website under ‘Community’. It's time for the weekly up-date from the Granard Governors. My name is Deirdre Chapman, and as Chair of the Premises Committee I oversee the committee that helps to make sure the buildings and outdoor environment are as comfortable and stimulating as possible for our children. With a school and grounds as large as Granard this is an ongoing job. In a school as big as Granard there is always something further to work on, our focus has shifted to the playgrounds and windows of the old building. We are in discussion with Wandsworth Council to start replacing the old drafty windows in the older buildings. The KS1 playground has a new trim trail, patch of 'easy grass' and a nature corner, with more plans in the pipeline. Both staff and the school council are working on ideas for the KS2 playground, as the new building has changed the layout of the space considerably. Even the nursery playground is being looked at! If there are any parents who have ideas about the nursery play space please take your ideas and thoughts to FROGS (Friends and Relatives of Granard School). As you can see, we are working on all fronts to ensure the school is the best it possibly can be. With just under 500 children using the school and playgrounds every day we are trying to create an environment which is both hard wearing, inspiring and flexible. One of the ways that Governors can help our school to improve performance is to conduct exit interviews with those members of staff who have decided to leave or retire. These interviews provide us with an insight on issues that could potentially become action points for the Board. In the last six months, Wendy Gairdner and I have conducted such interviews with five staff members who have moved on from Granard. The exit interviews have been well received by staff. The Senior Leadership Team considers that this feedback is a good way to identify aspects where we can improve. In the case of Granard, it also reassures the Senior Leadership Team that steady progress is being made on delivering first rate career development opportunities and improving work-life balance for our dedicated staff. It is three years since Granard School had its last OFSTED inspection and we are due for our next one any time now. A new inspection framework has been developed since the last inspection and has recently been circulated. It has an increased focus on the role and responsibilities of governors and their understanding of the school, including its strengths and weaknesses. To introduce governors to the new framework a workshop was held last Thursday evening. Wendy Gairdner, our Chair of Governors chaired the session and Mrs Grigg and the Senior Leadership Team provided a detailed overview of how the school is performing, including data that supports the areas below that OFSTED will examine. Governors then had a trail run; working in groups they discussed and answered questions that OFSTED might ask them. It was an excellent evening and governors were very grateful to Mrs Grigg and the SLT for giving up their evening to up-date them and answer questions. As always we were overwhelmed by the systems in place, for example, to record the progress of every child and ensure each child reaches their potential; for monitoring teaching, performance management and development of staff. Governors work in committees to oversee the work of the school. The committees are: Curriculum and Achievement; Finance; Pay and Personnel; Premises; Children, Families and Community. At these meetings the Chair puts together an agenda for the meeting to address the areas of responsibility of their committee. The head and/or a member of the SLT present information and are rigorously questioned. The meetings are written up and circulated to other governors at the termly full Governing Board meetings, to ensure everyone is kept informed. Please look at Granard's website as it is full of information to ensure parents and carers are kept up-to-date with how the school is progressing, money is spent and the systems that are in place. On Monday, the first of Granard Children's Centre's termly Advisory Board Meetings was held. The Board is part of the governance structure of the Centre. Board members include Centre staff, associated health professionals, Granard School staff, representatives of Centre users, and myself, a Parent Governor and the current Chair. This membership provides a lively and very healthy mix of viewpoints and ensures that the primary stakeholders of the Centre are able to shape policies and services – the "no alcohol on trips" policy was set out using this highly collaborative, user-centred approach. The parents and caregivers represented on the Board are regular volunteers at Parents' Place, a weekly forum for Centre users held to seek feedback about its services, share healthy eating recipes and tips, and to offer a variety of talks on various topics related to health, training and employment, and housing and welfare services. The Parents' Place volunteers produce a termly newsletter; the new issue is nearly ready, so look out for it in the next week or so. New volunteers are always sought and warmly welcomed – so if you ever use the Centre and would like a chance to contribute your ideas about how it should develop, do please pop in on a Monday morning – a crèche is provided. Over this school year, the Board will be monitoring the implementation of improvements identified in the Centre's Ofsted Inspection from earlier in the year. Some of these require action by the Local Authority, such as increasing the rigour of its supervision and target-setting, as well as improving the guidance and support it provides to the Centre and the Board. Improvements that the Centre can initiate itself are already underway; a new Improvement Plan is being drafted, we are currently seeking to expand membership of the Advisory Board to include more professionals involved in providing services for parents, and the Centre Manager is establishing stronger links with external partners who can offer education and employment services for adults. What will remain unchanged, however, is the care and support that the Centre's experienced and knowledgeable staff bring to enhancing the development and wellbeing of under 5s in the local area and beyond. On behalf of my fellow Governors, I want to welcome everyone back after the long summer break. I hope everyone is feeling rested and ready to get off to a flying start. Parents may not be aware that the staff had already been back at work for at least a week when the children arrived on Monday. There was much to do in getting the classrooms ready in both the new building and the old. Unfortunately the completion of the new building was much delayed, so this important preparation had to be done while the workmen were still finishing things off. The contractors had been originally scheduled to hand over the building to the school in early July. For a variety of reasons, this did not happen until this Monday, an hour or two before school lessons were due to start. I want to pay tribute to Steve Andrews, our Site Manager who, apart from one week off, has been on duty for the whole summer. He has been absolutely tireless in his efforts to do all that could be done to keep the building work on track. Thank you, Steve! We have one new Governor: Hilary Belden. Hilary lives locally, is a former secondary school Headteacher and an experienced Governor elsewhere. We are very pleased to have her join us; she will be joining the Curriculum and Achievement Committee. Sadly, we are having to say goodbye to another Governor: Sarah Watts. I was very sorry to receive this week an email from Sarah in which she offered her resignation. She has been a tower of strength, bringing to the Board, among other qualities, considerable skills and experience in the business world, particularly in Human Resources. Sarah has also been our Safeguarding Link Governor; working with staff to ensure the school is doing all it should to keep the children safe. Over the last year or two she has found her paid job more and more demanding in terms of her time and energy. Quite understandably, she now wants to devote more of her increasingly limited spare time to her family. We will miss her, but she promises to make herself available if we should need her help for any particular reason in the future. As the school year comes to its end we are saying goodbye to several members of staff who are moving on to pastures new. As part of our drive to ensure we continue to deliver first rate education, we governors conduct exit interviews with departing staff to get their views on their experiences working at the school. We find it extremely valuable to spend time on a one-to-one informal conversation, where staff can express their thoughts on both positive and negative aspects of their job. As governors, we use these discussions to identify areas where Granard can improve, such as finding ways to achieve a better work-life balance for staff, streamlining the admissions processes in Early Years and enhancing the provision of PE/Games by the decision of the Headteacher to hire a full-time PE Co-ordinator. This section is on school finance. Please do not stop reading! Did you know that it costs close to £3 million per year to run Granard School? It is primarily the job of Mrs Grigg, Mrs Broaster and the teaching team to decide how that money is best used. As School Governors we have a responsibility to ensure that school finances are well managed, that the school obtains value for money and essentially that the school is able to continue to pay the costs of educating the children it is responsible for. So where does the money go? Most, about 80%, is spent on staff costs, teachers, teaching assistants, office staff, caretakers and other support staff. The school also pays for the costs of running the building - electricity, gas, water etc., which in a school like Granard is a significant amount of money. Then, of course, there are classroom costs such as providing the materials needed (books, ICT, printing etc.) to support learning. In setting the school budget we also need to look to longer term projects. Most of you will recognise that the windows in the school are in need of replacement. A friend who went to Granard more than 30 years ago (sorry Alan!) says that the windows are the ones that were in place in his time! It is only now that we believe that we have the funds available from the school budget and grants to pay for the replacements. We are now receiving quotes for the work and hope that the programme of window replacement will begin and the benefits of an improved classroom environment will be seen soon. As Governors we have one view on how the school’s money is best spent. As parents and pupils you will have your views. We are keen to hear them and I would encourage you to use the Governors email address governors@granard.wandsworth.sch.uk with any suggestions that you have. I have just returned from another well attended meeting of our wonderful and enthusiastic FROGs. How many of you know that they now have their very own Facebook page? If you are into Facebook, do have a look. It’s a great advertisement for FROGS and a great way to reach out to both existing and new members. At the moment the page is very much focused on the build up to the Summer Fair on the 4th July. Under the new leadership of Charlene Ellis and staff governor, Zara Simpson, they also have some very exciting plans for the future. We governors are absolutely delighted to with this regeneration of interest from parents who are interested in showing their support for the school, and in getting involved in this way. The meetings are now held in the Children`s Centre and this enables parents with toddlers and babies to come along knowing they will be welcome. Today I will also be attending a meeting of the Finance Committee. On the Agenda for today is something called Benchmarking. We are provided with information on income and expenditure which enables us to compare Granard with other primary schools, both locally and nationally. We can see, for example, whether, compared with other schools, we are spending a greater or smaller proportion of our income on teaching staff. Are we spending more or less than others on ICT or on keeping the buildings in good shape? At the meeting the School Business Manager, Sharon Broaster and the Head will be answering questions from Governors on the Benchmarking information we have received. Thus we ensure that we are able to fulfill the third of our three "core strategic functions" as defined by the government. We are "overseeing the financial performance of the school and making sure its money is well spent." As I mentioned a couple of weeks ago we are at that stage in the term where Governors are attending committee meetings. Two of our five committees met this week, Premises and Pay and Personnel. The Premises Committee is chaired by one of our Parent Governors, Deirdre Chapman, and attended by another, Jason Grant, as well as myself and the Headteacher. We always have a very full report from our wonderful Site Manager, Steve Andrews. He is absolutely tireless in making sure Granard gets the best deal when embarking on any project, large or small: new fire doors, equipment for PAT testing electrical appliances, redesign of the KS1 playground and much more. And I haven't even mentioned the new building which is now only one month away from completion. Also taking shape, but on a rather smaller scale, is the site of the Granard Bug Hotel in the KS1 playground. Deirdre herself has been quietly working away at this and has, almost single handedly, cleared an area to which she will shortly be adding all manner of cosy and stylish accommodation for bugs, insects, worms, woodlice etc. When finished we will have a wilderness area for the children to learn about nature and enjoy. Many thanks to Deirdre for all her hard work. Pay and Personnel is chaired by Susana Knaudt, one of our co-opted Governors. Last night, among other things, we considered Mrs Grigg's plans for staffing next year. Much thought had clearly gone into making the inevitable changes. Over the next few weeks, in the run up to the next Governing Board meeting, governors will be attending meetings of the various committees at which the bulk of our work is done. Last week it was the Children, Families and Community (CFC) Committee. In this Committee, among other issues, we are focusing on how best to build on and improve our relationships with parents and the local community. We are very proud of all the fantastic work that is done at Granard and we want to make sure that people get to hear about it. Governors and staff have been in touch with the local press and, at the meeting we were delighted to hear we have been successful in getting articles about Granard into no less than three local publications: Wandsworth Guardian, Families and Headstart. Perhaps you have seen one of them? We have also been considering how to improve our image locally. Our exciting new building should help, and you will soon be seeing some very smart new signs appearing at various strategic points around the school. We invited one of our local councillors, Ian Lewer, to meet with me and Steve Andrews, Site Manager, and to have a look round the school. He was very impressed with all that he saw. I asked for his support in raising our profile and in attending to issues of signage and road safety in the immediate locality. We are continuing in our efforts to encourage more parents to become involved in all that goes on at school. All suggestions are welcome (email governor@granard.wandsworth.sch.uk). We know that our thriving Children's Centre has been very successful in this regard so the CFC meeting considered how we might encourage parents to stay involved once their children move on to Nursery. One route is through FROGs. We had an encouraging report from the new FROGs team, led by Charlene Ellis. There seems to be lots of enthusiasm around and some exciting ideas. I wish the new team well and urge all parents and carers to think about how they might get involved. By establishing the library in 2012, Granard managed to transform an unused area of the school into a comfortable, relaxing and airy place, perfect for helping to develop a reading habit in its students. I started volunteering in the library at Granard in June last year and one of the things I've most enjoyed has been getting to know the range and variety of books in its collection. It's really important for library collections to keep growing and to avoid becoming stale or over-familiar to their users, and I've certainly been kept busy cataloguing all the donations that the library has received. I'd therefore like to take this opportunity to say a big "thank you" to everyone who has offered books to Granard - we've received such a variety of items, in both fiction and non-fiction, and age range. Best of all, so many of the donations have come from Granard students who want to share the books they have loved, but outgrown, with other children at their school. Some recent additions to the library include "Iggy Peck: Architect" and books, suitable for Nursery and Reception children, based on the "Walking with Dinosaurs" film: "The Winter Ground", "Friends Stick Together" and "Patchi's Big Adventure". Young children also really enjoy our Usborne "Look Inside" set of books with their detailed illustrations and ingenious (not to mention sturdy) lift-the-flap design. Items recently received that are suitable for older readers include a set of “Eyewitness” encyclopedias, with individual volumes focusing on topics as diverse as dinosaurs, volcanoes, Ancient Greece and Egypt, castles, predators and space exploration. For those who enjoy graphic novels we have a Hero Origins series telling the backstories of iconic Marvel Comic characters, and, of course, we have a wonderful collection of stories and novels by writers such as Julia Donaldson, Jill Murphy, Michael Rosen, Roald Dahl, Michael Morpurgo, Anne Fine, Sally Gardner and current Children's Laureate, Malory Blackman. So, if anyone has any books at home suitable for children between 3 and 11 that are no longer read, are in a reasonable condition and that you'd like to offer to the library, please do so and we will very gratefully receive them! One of the pleasures of being a School Governor is attending all of the events that are put on by the children, such as the class or year assemblies. I am particularly enjoying the Values assemblies where each year group presents what they have learned from their month’s work on a specific value. This usually consists of a little play, some poetry and song. At the weekly Friday assemblies house points are awarded, an attendance certificate awarded to the highest class and some of the children receive certificates. Last week’s assembly was on Friendship. I look forward to the next Values assembly in June. The core values of Respect, Responsibility, Teamwork/Co-operation, Happiness, Perseverance/Determination, Honesty, Courage, Friendship, Tolerance/Patience, Sharing/Fairness and Forgiveness are key to us living and working together in a school or community whatever our background or culture. Last year Governors were invited to participate in an Inset day, where the different subject leaders presented the changes that were needed to implement the new National Curriculum. In the morning staff and governors worked in groups to develop the Vision Statement that underpins the ethos of how everything is done at Granard, from teaching, to mealtimes, to after school clubs, to safety and behaviour. Everyone was fully engaged in how they wanted our school to look and operate. By the end of the session the Vision Statement and set of Values had been developed. It is worth taking a few minutes to look at the Granard website, under ‘Our School’ to remind ourselves of the Vision and Values that underpin everything that takes place in our school. Last week I had the privilege of attending a School Council meeting. All the pupils introduced themselves to me, and I to them, then the business took place. The School Council is made up with a boy and girl from each class. Candidates can volunteer or be proposed by classmates and then a vote takes place. The representatives serve a year on the Council, during which time they report back to their classmates. They are also able to raise issues that are of concern to their peers. I was told that the subject of Halal Meat for school dinners had recently come up for discussion. The meeting was quite formal; a proper printed Agenda had been prepared for each member by Miss Hunter, who chaired the meeting. 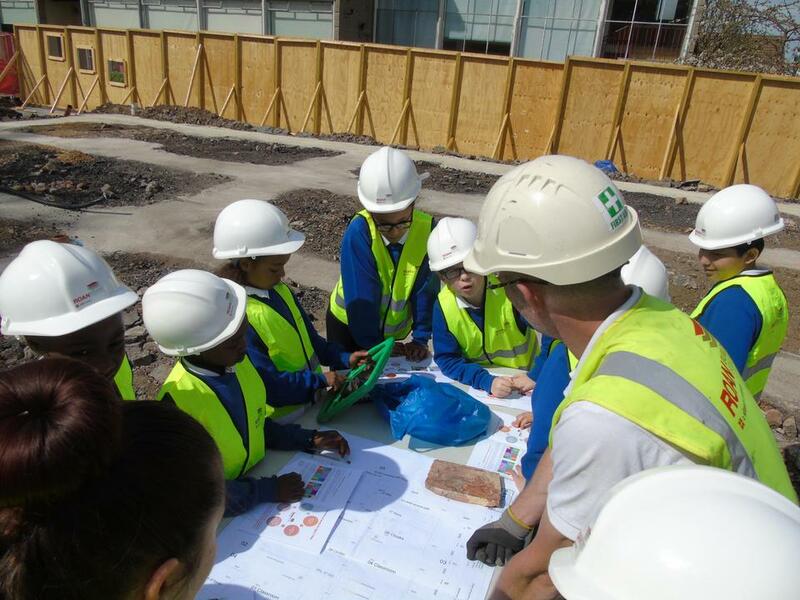 Also present was Steve, Premises Manager, who gave the children an up-date on the progress of the building works. He invited those present to visit the site on Friday to see the preparation required before the arrival of the crane, which will be used to put the parts of the building in place. He reminded those involved to wear suitable footwear and that they would have protective hard hats and special jackets provided. The main topic of discussion after that was the idea that an outdoor gym might be built on part of the playground area which will be left after the building works are completed. Various sports equipment companies are to be approached for sponsorship. There was much enthusiasm for this as well as some talk of suitable seating for pupils who might like to sit and talk or read during playtime. All the members of the Council were also asked to complete a questionnaire relating to playground activities which Miss Hunter will collate and the school will then consider. It was extremely interesting to find out what happens at the School Council. Also it is an amazing opportunity for the pupils to have a say in how their school operates! Regular readers of the Newsletter will know that Granard has again been judged one of the best five primary schools in Wandsworth in terms of the progress our children have made during their time with us. We governors would like to congratulate the staff without whose hard work, such progress would not be possible. We are proud to be able to say that the teaching at Granard is outstanding. At the Governing Board meeting last week we had further confirmation of this: the 2014/2015 School Improvement Plan target as regards quality of teaching has already been reached. One indication of this is that 100% of the Maths lessons observed this term by Mrs Grigg and the Senior Leadership Team (SLT) were judged to be good with 43% outstanding. We are seeing the results of such high quality teaching reflected in ever improving progress and attainment by pupils throughout the school. We also see that the SLT's view is supported by an external authority, our School Link Inspector, who is a Senior Education Advisor allocated by Wandsworth. He visits every term and reports to governors. During his latest visit, he also judged the quality of teaching at Granard to be outstanding. As Chair of Governors I want to pay tribute to the dedication and hard work of all the staff who are so ably led by Mrs Grigg and her SLT, and also to thank parents for supporting their children to help them get the best out of their time at Granard. One of the key responsibilities of the Governing Board is to ensure the children at Granard Primary School get the best possible education. The Curriculum and Achievement Committee is responsible for making sure the National Curriculum is implemented and taught effectively. This term, members of this committee have been talking to children in each class to see if they understand about their learning. These are some of the findings. Children were very proud to show off their books and any work that was displayed on the walls in the classroom or corridor. All children understood the marking system of 'pink for perfect' and 'green for growth' - do ask your children about it.It is an excellent way of giving positive praise and encouraging learning. The majority of children knew what they were good at, for example, maths, literacy, art and sport.They equally knew the areas where they needed to practice more, for example, handwriting, although, we saw many examples of excellent cursive handwriting. We were delighted at the number of children who, obviously, enjoyed reading and described some of the stories they were reading.It was also pleasing to hear that many of their parents heard them read and read to them at home. It was equally encouraging that the majority of children really enjoyed coming to school. Finally, we were amazed to find that many children knew about the governors and what their job was.One child said we were responsible for keeping them safe while a seven year old said we worked for the government. Really good answers, because, although we are volunteers we do make sure the Government Education Policy is implemented. These discussions have been a very useful way to find out what our children have to say about their education. All of the children (picked at random) were confident to talk to adults, articulate and able to explain their views, thoughts and feelings. We were very pleased with our conversations. This is the stage in the term when governors are particularly busy. Next week, on 19th March, we have our Governing Board meeting. This is held once a term and lasts about two hours. It is quite a formal meeting at which much of the business involves making sure we have met various statutory obligations to do with making sure the school is being properly run and also that every effort is being made to ensure the children are getting the best possible education. Much of the detailed business of governance is done at committee meetings. This week I have attended a Finance Committee meeting and a Curriculum and Achievement Committee meeting. At the Finance meeting, Sharon Broaster, School Business Manager, presented her Budget for the coming financial year. We governors asked lots of detailed questions about her planned expenditure and, once satisfied with the answers, approved the Budget. The figures involved are large and as the school grows they will get larger. It is a very important part of our role to make sure that the money we are allocated by the government is spent wisely and well. At the Curriculum and Achievement Committee meeting Mrs Grigg up-dated us on progress towards meeting the targets spelt out in the School Improvement Plan. The staff and the children are working very hard and, for the most part, meeting their targets. We also heard from Mr Wheeler who gave us a very detailed report on progress and attainment in every year group. We know what an important role parents can play in supporting children's learning at home so it was particularly good to hear of the enthusiastic response from Year 6 parents who are helping their children prepare for their all-important SATs. On a lighter note, several of us governors very much enjoyed meeting a number of families while we were selling red noses in the reception area this week. I hope the rest of the Red Nose festivities planned for today go as well. As well as being vice-chair of Governors and chairing the Curriculum Committee, I am a volunteer reader at Granard. I have been volunteering for about 8 years. An ‘old’ friend (I have known her a long time, she is now 98 years old and read with Granard children up to about 4 years ago) asked me to join her. I went on training at the Town Hall about reading with children and started off with Year 5 children. 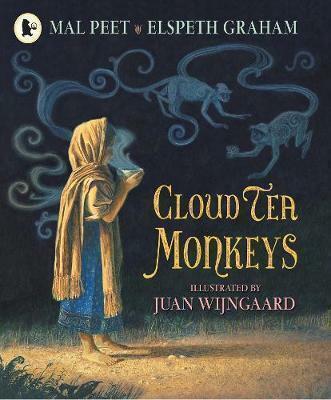 Some children needed help with their reading, some needed encouragement, some were good readers but needed to discuss the stories and the language so they understood them better; one group of boys were reluctant readers so we started a book group where they took it in turns to read. They were a very competitive bunch so we got through lots of exciting books. I read in the upper part of the school for 5 years and thoroughly enjoyed meeting the children and reading with them. I have always loved books so to have someone read to me was great. I even took some of the books home to find out how they ended! I particularly enjoyed ‘The Hunger Games’. Then I was asked to have a change and read with Year 1 children. I have to admit I was very nervous and thought I might be bored. However, I love reading with these young children, they are like sponges, and it is lovely to help them gain confidence in reading, see the progress they make and experience their excitement when they move up a level. It has been a real privilege to get to know the children and teachers and to see the dedication of the staff and impressive way the school works. In Year 1, in addition to the class teachers and teaching assistants there are several dedicated people, assessing the children’s reading and giving one-to-one support, which gives them an excellent start. I have seen first-hand the difference this makes to the children’s progress. Lastly, I make a plea to all you parents, grandparents, carers, the most important job you can do to help your children is to make time and hear them read and to also read them stories yourself. It really does make a big difference to their learning! Parent Governor and Chair of the Premises Committee, Peter Smithdale, has offered his resignation this week. We knew it was coming but it was still a sad day. His family leave for Australia on Saturday and Peter will follow in the near future. Peter has been a tower of strength, using his skill and experience as a qualified architect to see us successfully through the first stage of the 3 Form Entry building project. We are extremely grateful for all he has done and we wish him and his family all the very best for their new life in Melbourne. Another Governor, Shirley Hobson, has a very long association with Granard. Her children were pupils here in the 1980s. It was Shirley, who has a background in graphic design, who redrew and simplified the Granard tree logo before using it to design the first t-shirts and sweatshirts. 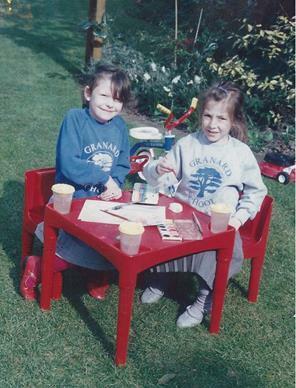 They were then modelled by Shirley`s daughter Alice and her friend, also called Alice. One of the most significant responsibilities of the Board of Governors is to ensure that staff at Granard continue to do a good job. The way this is done is through Performance Management (PM). In line with Ofsted guidelines and our School Improvement Plan, Granard uses PM for the appraisal of staff including the Headteacher. It is the Senior Leadership Team’s responsibilities to have an open, target-based and realistic management system in place which drives improvements in the school through setting specific targets for each member of staff linked to their job description. Governors have met with staff members at all levels to get feedback on the effectiveness of PM in assessing their performance and setting targets for the future. The response from staff was overwhelmingly positive, with staff expressing satisfaction about their own PM and career prospects at the school. As Governors, we have also been satisfied on the coherence and effectiveness of the programme of professional development to support staff in achieving their PM targets and the opportunities provided for promotion. A key component of PM for teaching staff has been the effective monitoring of teaching and learning. Consequently, the strong link between PM and salary progression has allowed staff to have a clear view of their role and opportunities available to them at the school. The Headteacher is appraised by Governors with the assistance of an independent advisor. Governors have been provided with indisputable evidence gathered from a number of sources which confirm that the school is being led successfully in an effective and inclusive way by our Headteacher. The government is making increasing demands on us Governors, and it is my job as Chair to make sure that we can meet those demands. The Governing Board, as we are now called, is responsible for establishing the ethos and vision of the school, for making sure the Head is continuing to do a good job, and also for making sure the school stays financially healthy. It is very important that we regularly review our effectiveness as a Board and also as individual governors. Each of us comes to the role of Governor with different experience and different skills and, also, of course, with other demands on our time - work, family, other interests. In the last few weeks I have embarked on a programme of meeting with each Governor individually to make sure each is comfortable in the role and, most importantly, that we are making the most effective use of the time and energy they can spare for Granard. I have found the meetings I have had extremely useful and I look forward to continuing with them through the coming months. I am also always keen to hear from parents as well so please don't hesitate to get in touch at governors@granard.wandsworth.sch.uk, or by leaving a letter at the front desk. The School Improvement Plan, that sets out a challenging agenda for improvement in many areas, such as the new building programme, to not only ensure the new building meets our needs but the school still operates smoothly while the building work goes on; the teaching of philosophy to give children skills and confidence in asking questions, listening to others and being able to discuss pertinent issues; the introduction of the new national curriculum along with new methods of assessment. The Committee is very aware of all of the additional work (on top of preparation, teaching, marking and caring for the children) that is going on all the time to improve education for our children. In December we met the builders who will be building the new Classroom Block. Work will start this month and the building will be finished by the beginning of the summer holidays. After the foundations are done, the main part of the building will be brought in as ‘modules’, each about the size of half of a classroom, to be stacked up by a crane, before the outside finishes of the walls and roof are put on. This is quite a new way of building, and it will be exciting to see it rise quickly from the ground. We will be using the building project to learn from, and the builders are keen to share with us their computer model, so we can see what they are doing and track their progress. We have to be prepared for some disruption and noise, but we will all be working to keep this to a minimum, and thinking forward to the lovely new classrooms and spaces we will be able to enjoy next year. Computer image of what the building will look like. One of the delights of being a Granard School Governor at this time of year is an open invitation to attend all the seasonal activities at the school. On Wednesday I saw the most amazing musical production of a Nativity play which was performed by Reception children. The School Hall was full of pupils and parents eagerly anticipating the show. They were not disappointed as the acting was superb and the singing was beautifully in tune. The scenes were beautifully set on the stage and the various costumes perfect. The age old story was retold in a charming adaption featuring all the well-known characters; Mary, Joseph, Baby Jesus, Wise Men, Angels, Shepherds and (very smiley) Sheep but with the addition of a ‘Sleepy’ Shepherd. All the children were ‘stars’ but the one who was truly a ‘super-star’ and lit up the stage with her energetic performance was little Ailsa Levy, who excelled as the ‘Sleepy Shepherd’! The audience clapped enthusiastically at the end… and the performers sang a rousing chorus of ‘We wish you a Merry Christmas’ back to their friends and families. Well done to all the performers and directors who gave the audience so many magical moments to remember this Christmas. Also, a special ‘thank you’ to Mrs Chapman on the piano. I’m ready for Christmas now! Among the privileges inherent in being a Governor at Granard is being able to attend inspirational occasions like this. Last Thursday, Year 3 at Granard were joined by Year 3 from Sacred Heart and children from Paddock school to perform a full 20 minute programme of songs which they have been learning this term. They sang their hearts out. All the words of all the songs had been memorised. Some came with actions and some with harmonies. It was just wonderful. Many many congratulations to Mrs Chapman and to all who took part. The winter winds are blowing. The leaves have all nearly fallen, and most of our tiny mini beast friends have hibernated for the winter. But there are plans afoot at Granard for a mini beast home! Slowly but surely some of the Governors, parents and staff are working to create a mini beast hotel. We are collecting pallets, scraps of wood, broken pots, sticks, canes and all sorts of other outdoor odds and ends. Come spring we shall be asking children to bring in additional treasures they think mini beasts, such as snails, bees, moths, caterpillars, spiders and beetles, might like to call home! We will assemble these bits to create an outdoor refuge. While we are still discussing the final location, think about where the mini beasts like to hide in your home or garden, and how we can make a similar special place at Granard. If you go into Granard on a Monday morning you may be surprised to see a shiny black cocker spaniel sitting at a child’s feet listening intently to a story! 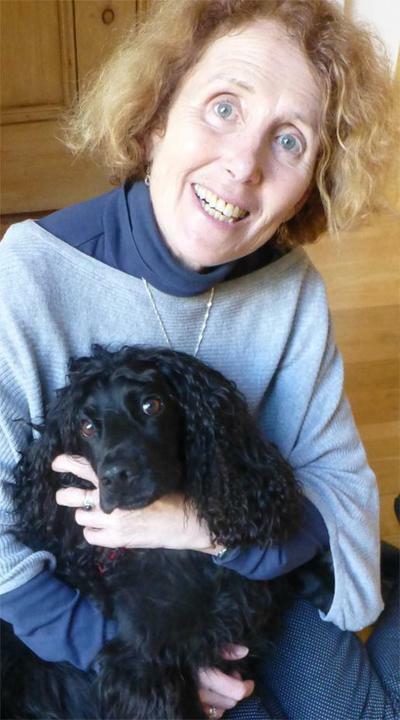 We are lucky to have a volunteer from a charity called ‘Read2Dogs’, who is bringing her dog, Rufus, into the school to help some of our pupils with their reading. At the end of each 15 minute session Rufus gives a certificate, which has a photograph of him on it, to each child who has read to him. It also contains a progress report. In return the child gives him a doggy treat and can pet him. There has been much research indicating how successful this therapy proves to be in encouraging reluctant readers. The idea was put forward at a meeting of the Curriculum & Achievement Committee who agreed to introduce it at Granard. It is surprising how happy some children, who normally don’t like reading or find it difficult, love to read to such a calm and friendly dog. So…happiness all round and something to look forward to on Mondays! At the two Parents` Evenings last week, my fellow governor, Pat Dark, and I much enjoyed chatting to a number of parents as they waited for their time with the teachers. I was reminded again of how fortunate we are, at Granard, to be members of such a richly diverse community where we are able to get to know children and parents from such an amazing variety of backgrounds. ‘The last year has been a challenging one for governors involved with Premises. 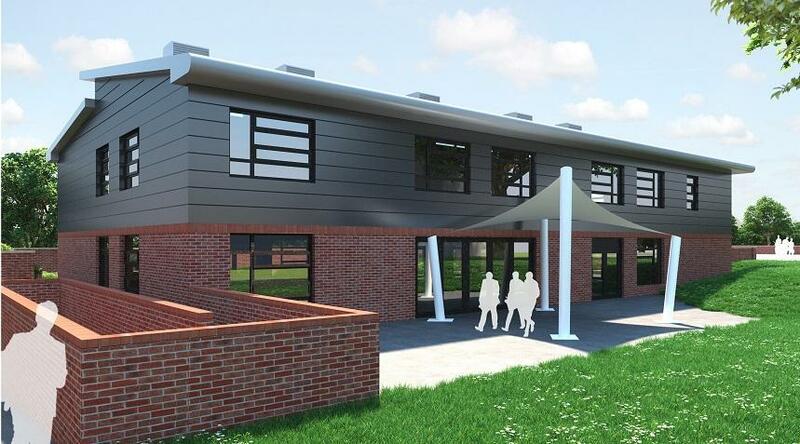 We have taken a positive view of the need for the school to expand, and have influenced the design and layout of the new buildings, making sure that the school’s needs are met. Building projects usually have hitches and problems along the way that need decisions and pragmatic solutions. It was not easy getting the new reception classroom finished on time, but finished it is, and we will see the new junior block started early in the New Year. The Committee met on the 16th October. One item on the agenda was the implementation of the new national curriculum. We heard that the new curriculum had higher expectations of children but also had given the opportunity for staff to review their aims, what they teach and how children learn. The feeling is that social skills will be at the heart of the new curriculum and helping children to reflect on their work and whether it could have been improved. The new Philosophy sessions aim to get children thinking about questions, forming arguments and listening to other people. It will be an interesting year!